Courtesy of KELLER WILLIAMS ON THE WATER. Welcome home to your beachfront condominium located in Lido Harbour Towers. Amenities include secure, under-building parking, elevator service, a large heated pool, and clubhouse with kitchen and lounge area, all just steps away from powdery sand and brilliant turquoise waters of the beautiful Gulf beaches. St. Armands Circle and downtown Sarasota are just minutes away featuring elegant shopping, dining and the theatre district. This unit features a split floor plan with hickory hardwood flooring. There are two balconies, allowing lots of natural light and views in just about every direction. You can see the gulf beaches, the intercoastal waterway, and downtown Saraosota. Restrictions: Must be approved therapy or emotional support animal. Weight does not apply. 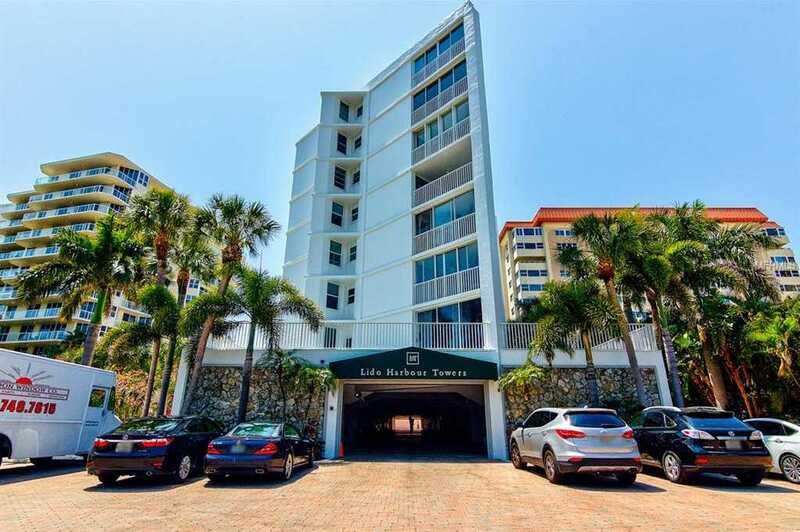 Please, send me more information on this property: MLS# A4427197 – $500,000 – 1770 Benjamin Franklin Dr #507, Sarasota, FL 34236. I would like to schedule a showing appointment for this property: MLS# A4427197 – $500,000 – 1770 Benjamin Franklin Dr #507, Sarasota, FL 34236.